Morgan Hill, California, is a popular destination for visitors who want to be nearby multiple major cities, but without the hustle and bustle of busy city life. This makes it the perfect destination for business travelers who also want a respite from their busy workday. 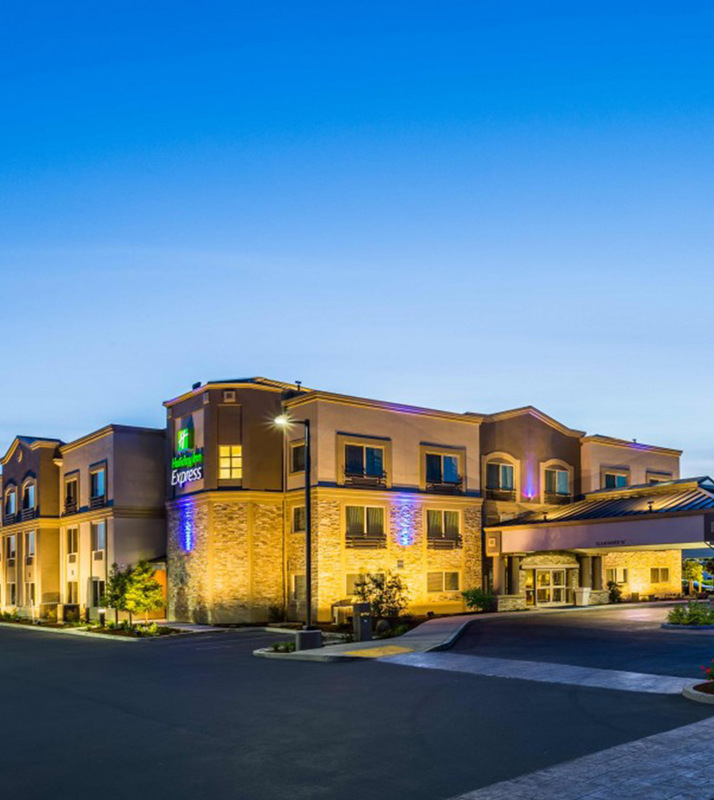 Nearby dozens of local restaurants, wineries, hiking trails, golf courses, retail shops, and other local attractions as well as being a short drive from Monterey, San Jose, San Francisco, and other popular Bay Area cities, Morgan Hill is an ideal location for all visitors. Enjoy the rolling hills, great weather, and friendly community. During your stay, be sure to visit Parktown Pizza Company and Friday Night Music Series. If you’re searching for inexpensive, local fun for the whole group or family, look no further! Step into Parktown Pizza Company for mouth-watering appetizers, gourmet pizzas and your choice of over 50 beers on tap, and then take a short walk downtown to Monterey Road for Friday Night Music Series in the park. Parktown Pizza Company is a local favorite due to its choice location, unique flavor profiles and a large variety of beers available. Weekly dining specials are always available and it is also the perfect location for sports events and private parties. Open daily from 11 AM -10 PM, Parktown Pizza is the place to be! A few of the most popular flavors on tap include Ace Pineapple (a delicious 5.0% ABV California Apple Cider with fresh pineapple), 21st Amendment Blood Orange Brew Free! Or Die (7.0% ABV American IPA made from Blood Oranges), Einstok Olgerd Icelandic White Ale (5.2% ABV Witbier containing essence of coriander and orange peel), Karl Strauss Red Trolley (5.8% ABV Irish Red Ale bursting with toffee and dried fruit flavors), Modern Times Space Ways (6.7% ABV American IPA with hints of mango, nectarine and lime), Mother Earth-Four Seasons Summer (10.5% ABV Russian barrel-aged Stout with raspberry and vanilla flavors) and Six Rivers Macadamia Nut Porter (6.0% ABV with a flavor profile of roasted nuts, chocolate and caramel). Parktown Pizza Company now features a delectable Indian menu including tandoori wings, samosa bites, and curry sticks as a few of the appetizers, in addition to paneer pizzas, a veggie masala pizza, and a melt-in-your-mouth butter chicken pizza, to name a few. Anyone wishing to stick with the classics may enjoy mozzarella sticks, buffalo wings, and garlic twists, delicious hot sandwiches (such as garlic chicken, lemon pepper chicken, and veggie), or traditional craft pizzas. It is recommended to arrive early to lay down picnic blankets and/or chairs because Friday Night Music Series has become increasingly popular. Bring snacks, or enjoy the event booths with beverages, kettle korn, ice cream, and other favorites, and get out your dancing shoes. This event occurs every Friday downtown from 6-9 PM and is great fun for the entire group. Live music performance genre ranges in variety, but is guaranteed to get you moving!